Stages 3 and 4 of the landmark The Flour Mill of Summer Hill development by EG and Daiwa House is set to launch to the public on June 25, 2016. The stunning new master-planned community in the heart of Summer Hill, NSW, located on the heritage Flour Mill industrial site is breathing new life into the iconic buildings, with 360 contemporary apartments and terraces surrounded by beautifully landscaped communal gardens, retail/commercial spaces and easy access to the new fast light rail. 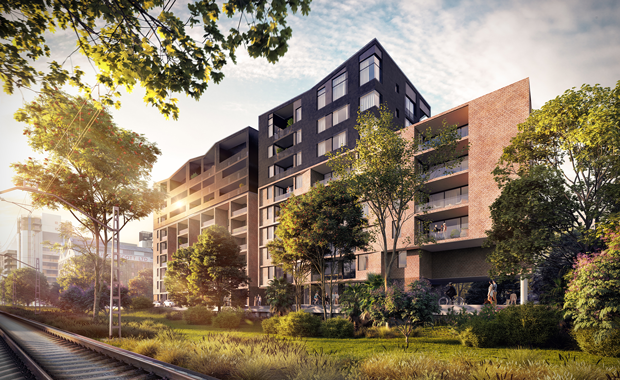 Designed by award-winning architects, Hassell, Summer Hill’s newest residential community and retail hub began construction in early 2015. Stages 3 and 4 will unveil 233 premium studios, one, two and three bedroom apartments uniquely located in the Flour Mill’s existing silos, which have been transformed into stunning contemporary icons. Hassell has taken its cues from the Flour Mill’s landmark silos to echo the site’s industrial proportions, retaining the remarkable heritage and form and redefining the structures to revitalise this beloved monument to the city’s rich industrial heritage. The three vertical layers of the nine-storey Malthouse work in unison to celebrate the building’s industrial heritage. A central vertical cut-out creates a 20-metre high void in the lobby while horizontal cut outs on each level form a spinal corridor open at the northern and southern ends. Each apartment has been cleverly designed to bring the outside in – balconies and windows have been carefully placed to provide an interesting outlook from every aspect while maximising natural light and airflow. Stunning vistas extend across the Flour Mill’s landscaped gardens and heritage architecture to the city skyline.